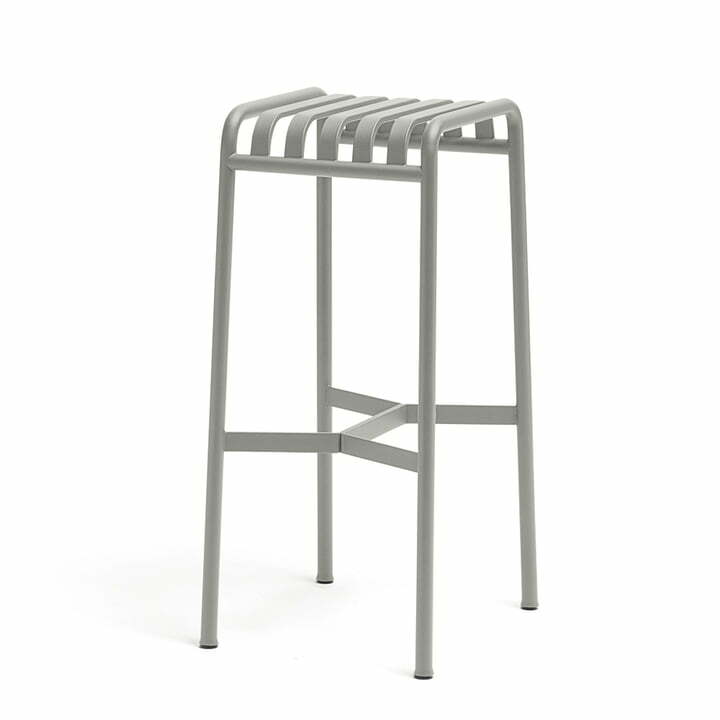 The Palissade bar stool looks weightless because of the airy shape but it is heavy and very robust because of the steel material it is made of. Rain water drains through the tubes on the seat, which makes it easy to clean the stool. In addition, it is also comfortable without cushions because of the ergonomic shaping, being a perfect companion for outdoor use. Aesthetics and function complement each other excellently in the garden bar stool of Hay. It is a practical and beautiful piece of garden furniture that looks gorgeous at a kitchen counter and can be beautifully combined with the other furniture of the Palissade collection in olive, grey or anthracite. 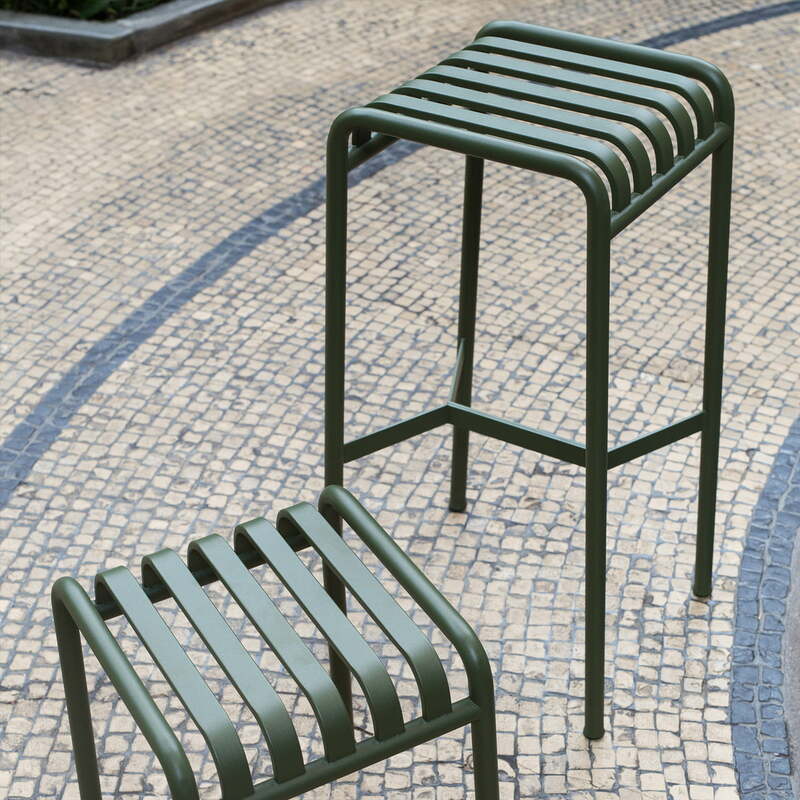 Single image of the Palissade bar stool by Hay The stool is a perfect accessory for your outdoor area because it is functional and aesthetic at the same time. Image of the Hay Palissade collection in a group view. All garden furniture of the series in one picture: Design your outside area just the way you want it. Group image of the Palissade Collection by Hay. This garden furniture is a great alternative to classic wood furnishings and has a pleasingly practical design.